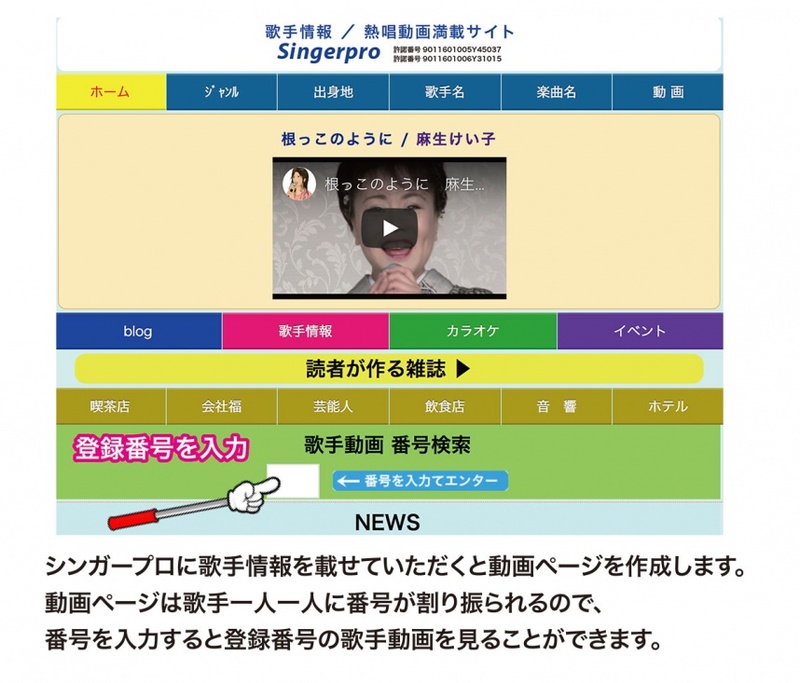 When singer information is posted on singerpro, we create a video page. As the number is assigned to each singer on the video page, you can see the singer's video of the registration number by entering the number. For example, you can confirm by entering 164 or 165.